This real estage broker adds valuable information to her site with the Resources and Links tool. 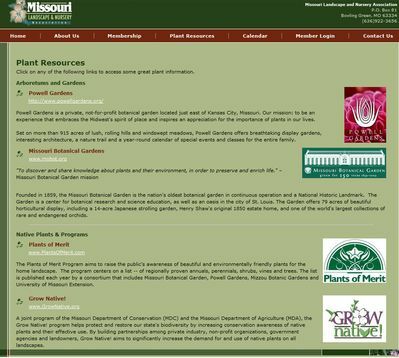 The Missouri Landscape and Nursery Association uses the Resources and Links Editor to add links to websites with good plant information for their members. Use the Resources and Links Editor to quickly create links to other interesting sites and resources.